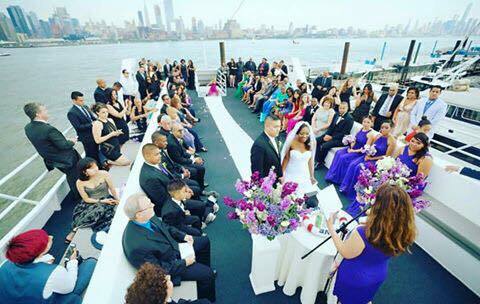 Carina and Lemuel had their wedding ceremony and reception aboard Royal Princess on Saturday, May 28th, 2016. Here is a little bit about this fabulous couple! How did you hear about Royal Princess? Google Search – followed by great reviews from Google, FB, weddingwire, etc. Why did you decide to have your wedding on a yacht? We did not want the traditional venue for our wedding. I had been to a party on the Hornblower Yacht a year prior and thought it be a great idea for a wedding but I knew the price would be too unrealistic for our budget. While looking at other Venus we found what we liked but was not fully in love – so I casually search google for wedding on a Yacht leaving from NJ. 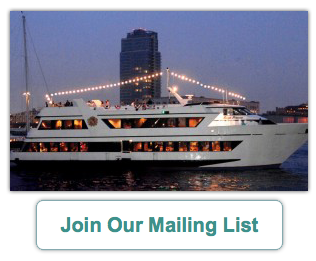 A few options can up but we wanted something fully private to our wedding and didn’t want to share with another dinner cruise. I found the Royal Princess. 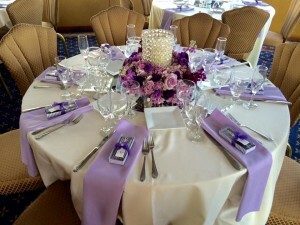 The prices were highly competitive to other venues and did not charge for every little thing like many other wedding venues. 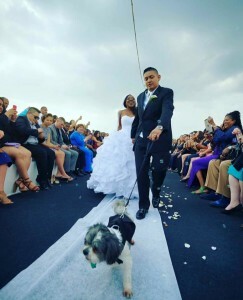 The Yacht was premium and beautiful and they were on board with our dog as the ring bearer for the ceremony! We were sold! As an overly organized, perfectio nist Bride – there were all the typical wedding worries plus even more being that we were on a boat. Lezlee and Rob were there the entire way to answer ALL my questions promptly and work with all our accommodations during the planning process through the wedding. What was your first FB post after your wedding? I need an app to upload the past 72 hours of THE best time of my life. I got to marry my best friend while all our dearest family and friends witnessed!